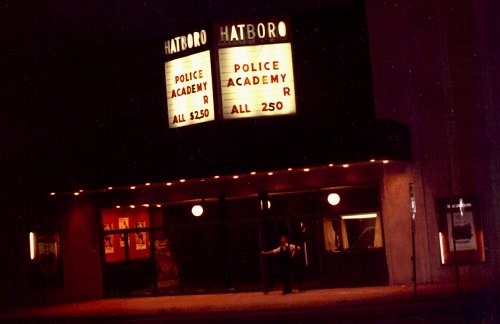 September 1983: I was 18, attended Penn State’s Ogontz campus, lived at home and worked part-time as an usher at the Hatboro Theatre, a single-screen movie (not-quite) palace that was torn down the following year to make room for a Wendy’s. 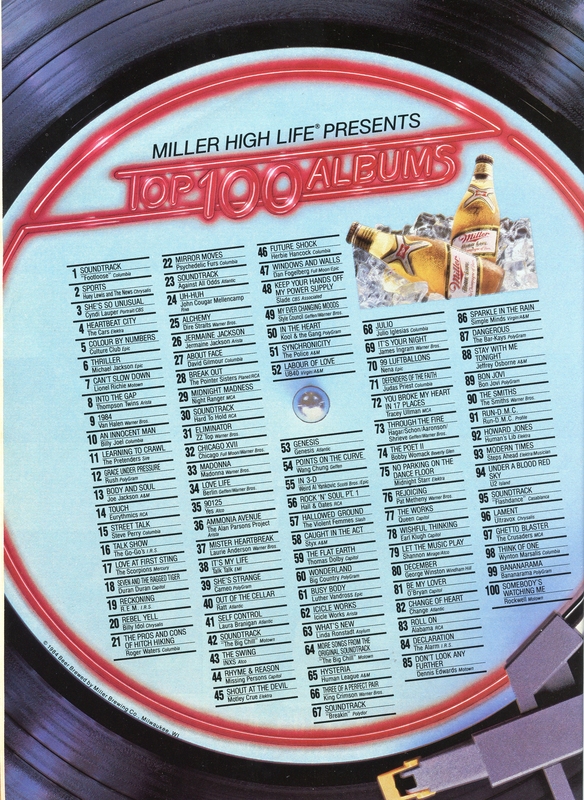 At the start of the month, the Eurythmics ruled the charts with “Sweet Dreams (Are Made of This)”; and Billy Joel held the top spot with “Tell Her About It” by its end. Popular films included Mr. Mom, National Lampoon’s Vacation, Risky Business, Cujo and Easy Money. 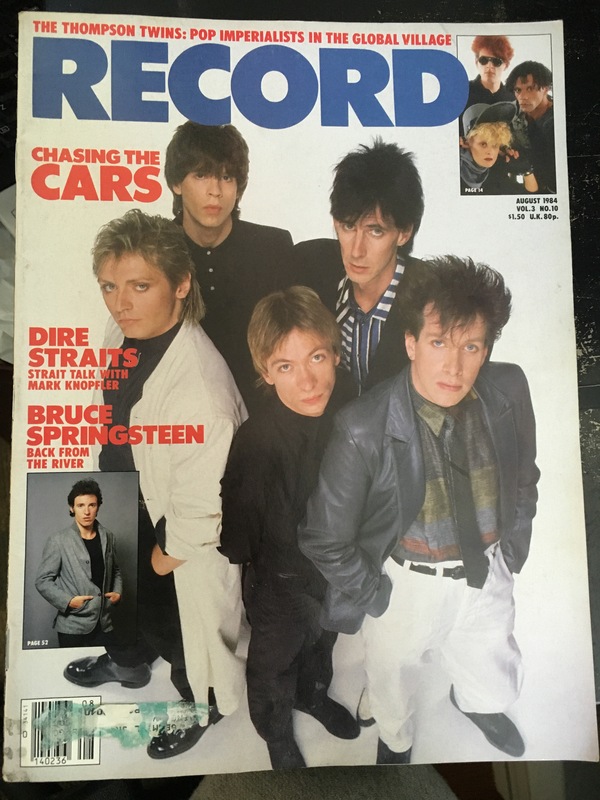 I also bought this issue of Musician. 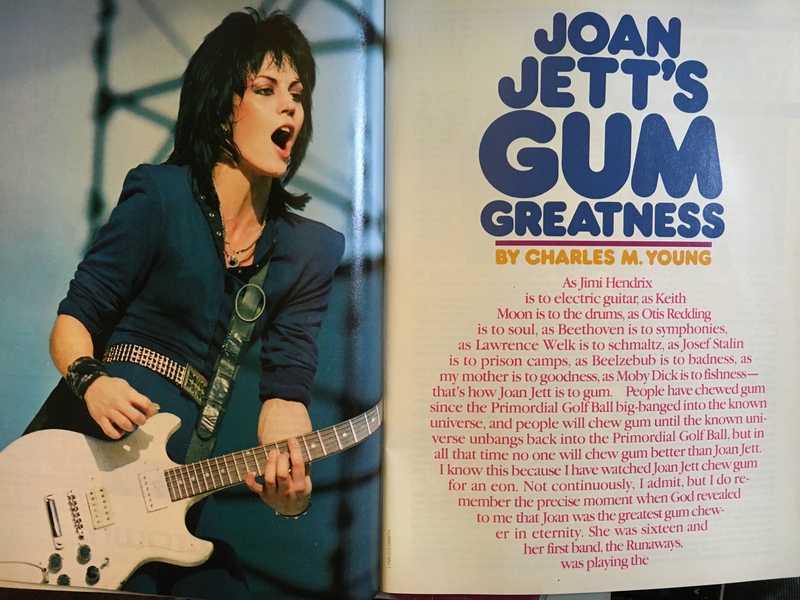 Prince is on the cover, and there’s an in-depth interview with him inside, but I bought it because of the name below his: Joan Jett. 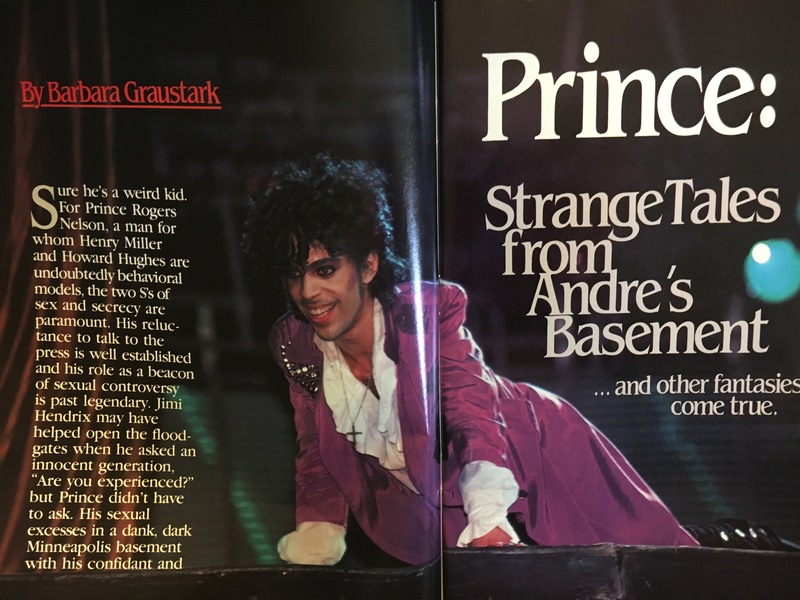 Anyway, at that point, Prince was still riding high on the success of 1999, which had been released the previous October, but the Q&A (by Barbara Graustark) is about much more than that double-LP set. It delves into his early years, rocky relationship with his dad and entry into music, as well as the esoteric subjects of the songs themselves. 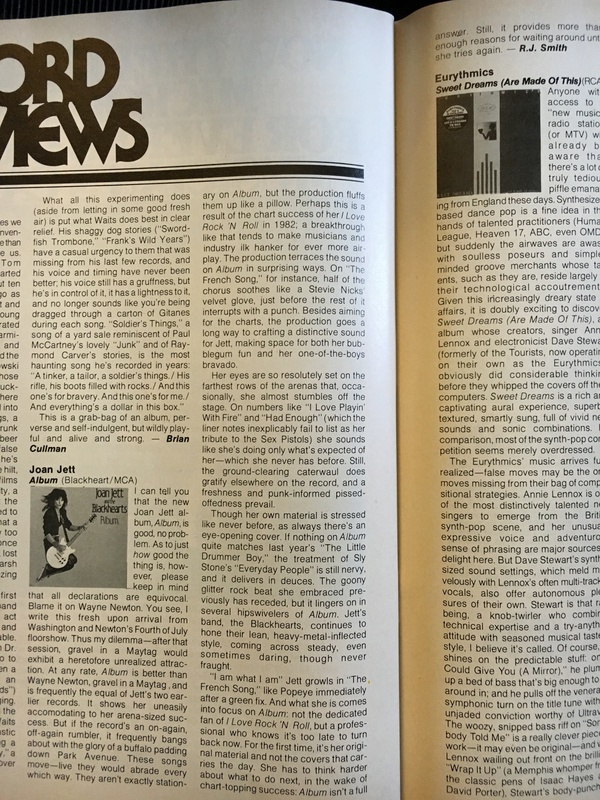 1) Prince – “Controversy.” In addition to the Graustark piece, there’s a short Q&A with rock critic Robert Hilburn. 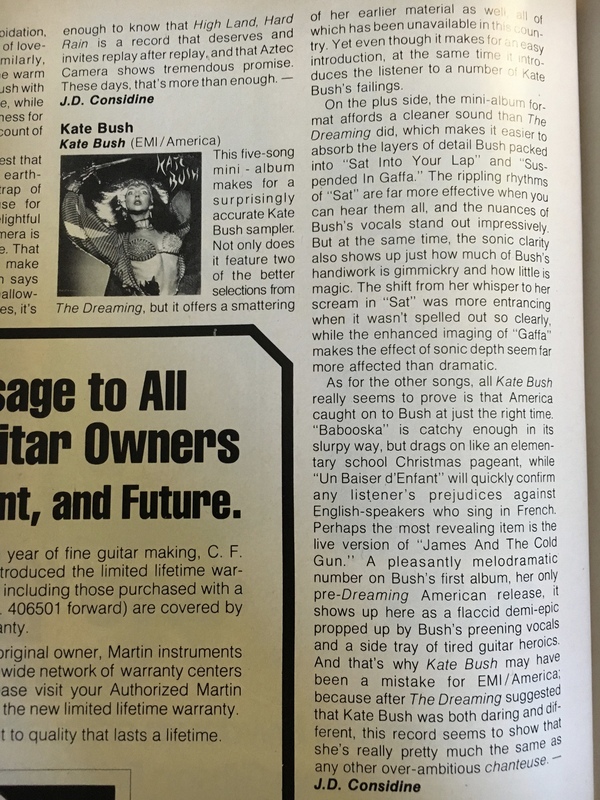 Musician: I liked your first two albums, but it seemed to me that the third record, Dirty Mind, was really a growth. Prince: Yes, the second record (For You) was pretty contrived. After the first record, I put myself in a hole, because I’d spent a lot of money to make it. With the second record, I wanted to remedy all that, so I just made it a “hit” album. I usually write hits for other people, and those are the songs I throw away and don’t really care for. Dirty Mind started off as demo tapes; they were just like songs inside that I wanted to hear. So I took it to my manager and he said “This is the best stuff I’ve heard in a long time. This should be your album.” The drag is that I don’t know how I could make another album like that. I usually change directions with each record, which is a problem in some respects, but rewarding and fulfilling for me. I have mixed emotions. 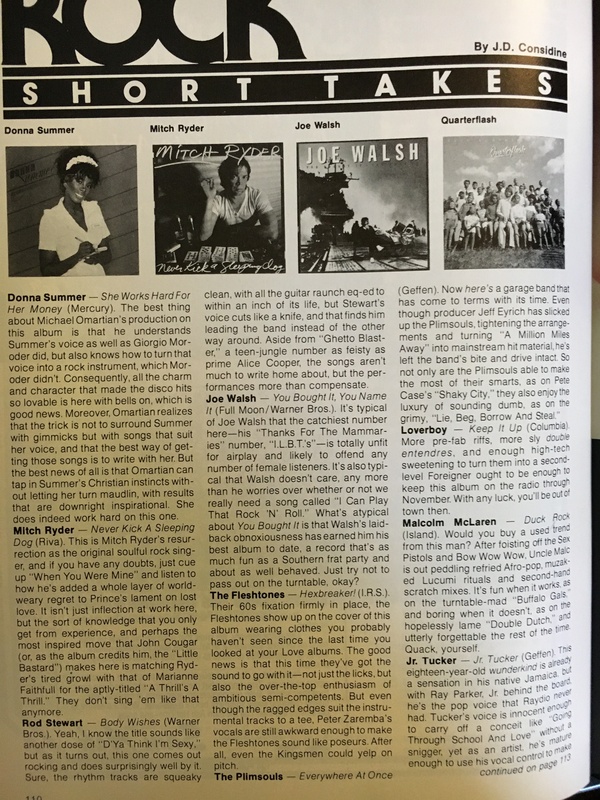 Musician: The fourth album, Controversy, sounds more new wave. 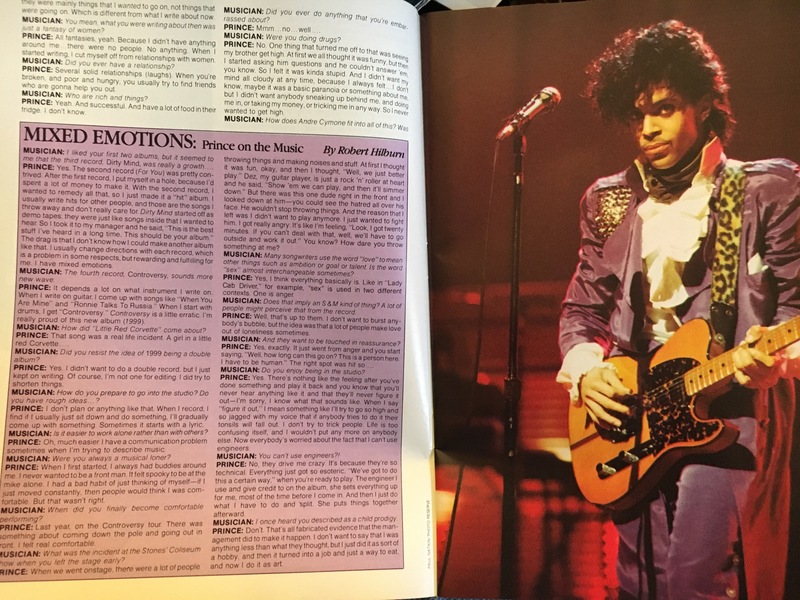 Prince: It depends a lot on what instrument I write on. 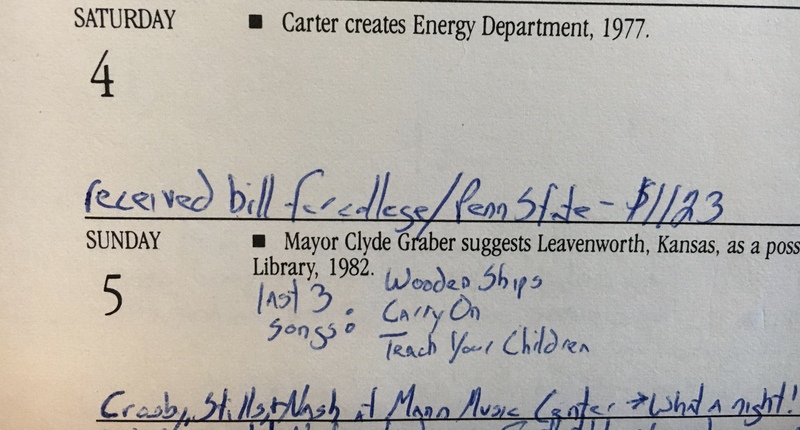 When I write on guitar, I come up with songs like “When You Are Mine” and “Ronnie Talks to Russia.” When I start with drums, I get “Controversy.” Controversy is a little erratic. 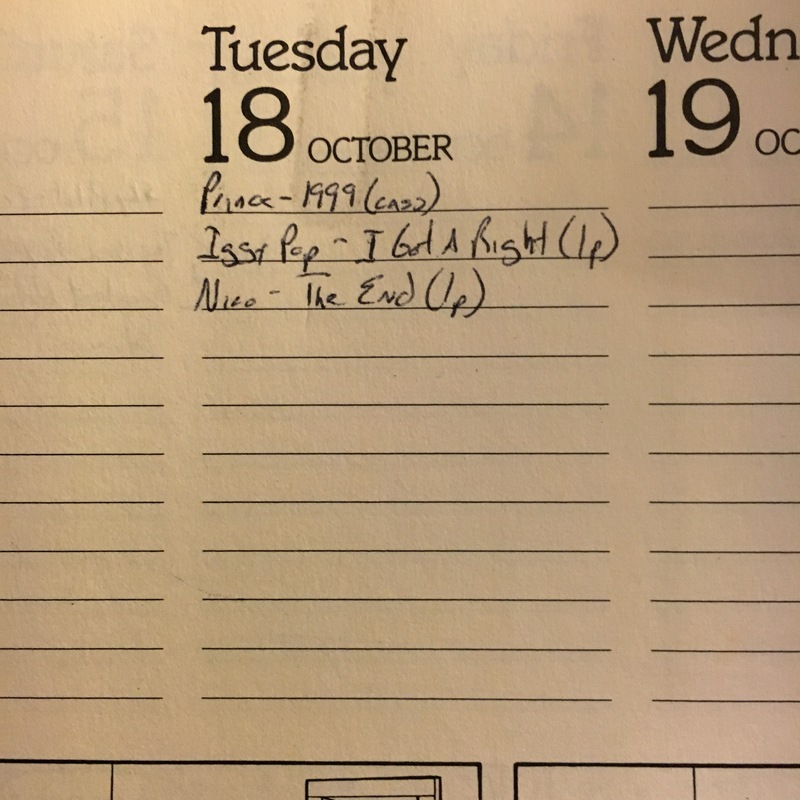 I’m really proud of this new album (1999). Anyway, there was a stretch in the ’80s when he was one of the best musical artists riding the charts – 1999 (1982), Purple Rain (1984), Around the World in a Day (1985), Parade (1986) and Sign o’ the Times (1987), specifically, though his Batman soundtrack (1989) had its moments, too. (Lovesexy, on the other hand…the less said, the better.) 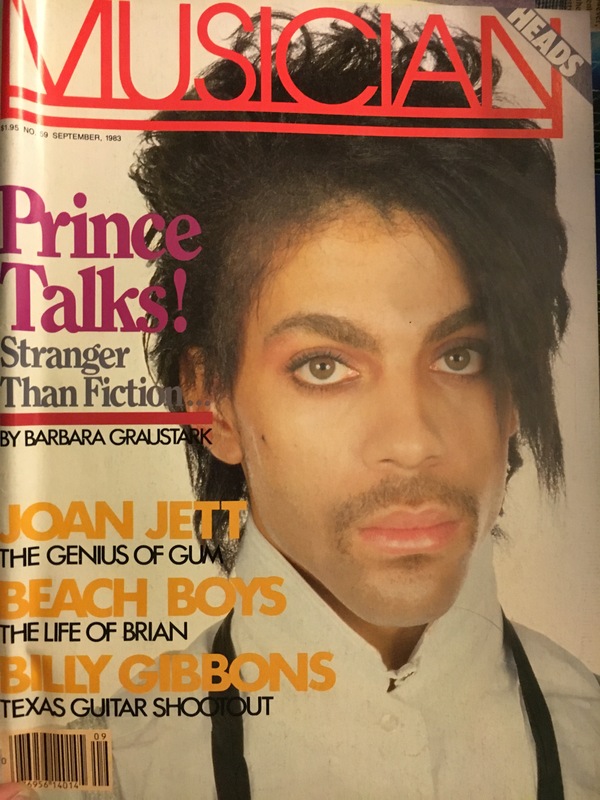 Anyway, I remember sitting around a table at a Folk Show staff meeting in early ’86 while one of my fellow deejays – like me, a long-haired, unlikely Prince fan – raved about “Raspberry Beret.” Prince’s music pushed past long-established boundaries, in other words. That song wasn’t written for the Bangles, though, but Apollonia 6. Prince supposedly became infatuated with Susanna Hoffs, however, and decided she should sing the song instead. Here’s Apollonia 6 demo (which sounds almost exactly like the Bangles’ version).